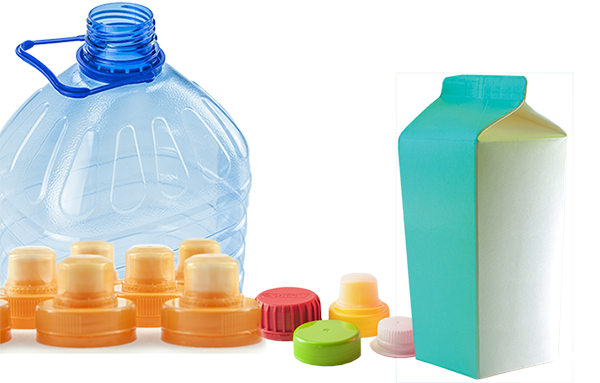 Nampak has 15 plastics and liquid cartons facilities in South Africa, running lines for customers across a number of industries. We make PET preforms and bottles; HDPE bottles; paper gable-top cartons; drums and intermediate bulk containers; closures; tubes and crates. 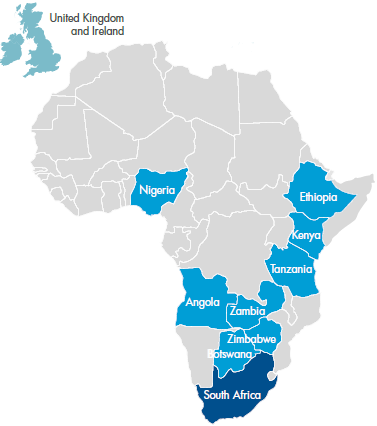 In the Rest of Africa, we have bottle, preform, crate and closure businesses and are the leading producer of rigid plastic packaging in Zimbabwe and Zambia. In Europe, we operate eight facilities producing HDPE bottles. We are the leading producer of rigid plastic packaging for the dairy industry in the UK. 2018 was a challenging year for Nampak Plastics, marked by a drop in the sales volumes and profitability of liquid packaging and plastic closures after the loss of a key customer, itself the subject of consolidation. However, the liquid cartons business had a strong year. As part of our plans to rejuvenate the business and cut costs, we implemented the first of planned plant and depot closures. These included the consolidation of the Isando and Industria sites in Gauteng and the closure of warehouses in George, Western Cape and East London, Eastern Cape. The once-off costs related to these activities, as well as volume losses as a result of lower volume allocation from a significant customer, reduced trading profit. We commenced with the recapitalisation of an in-plant facility for a major dairy customer in support of growth and increased sales of ROPP (roll-on pilfer-proof) closures. Despite low household disposable income pressuring demand for gable-top cartons, we improved the profitability of the Isithebe facility in KwaZulu-Natal thanks to a firm focus on cost containment and maintaining operational efficiencies. The profitability improvement was supported by a very strong safety performance, achieving one million injury-free hours. We continued to work to build our share of the market for non-oral-care tubes. To improve profitability by reducing complexity, we announced plans to sell our crates and drums businesses. In the new financial year, we expect to start realising the savings related to the consolidation of our sites in Gauteng and will focus on their operational stability. We plan further site consolidation in other provinces. Our liquid cartons facility is poised to take advantage of the growing demand for more environmentally friendly, cost-effective packaging. Much focus is being devoted to securing new business within various liquid and dry food product categories and we look forward to launching various new carton designs, with improved appearance and functionality, supported by recyclability, renewability and Forest Stewardship Council (FSC) accreditations. To meet market demand, we will invest in "seam-to-seam" technology for tubes, as well as the moulds and injection moulders required to produce closures for motor lubricant bottles. We expect to conclude the sale of crates and drums businesses in the new financial year. In Zimbabwe, our plastics business performed well, reporting a sharp increase in volumes and profitability. This was despite a shortage of foreign exchange in-country. The main challenge in Zimbabwe was not demand for our products, but the availability of forex to sustain raw material requirement purchases. In Zambia, demand for our bottles, closures and crates remained stable. Our Nigerian plastics closures business performed in line with expectations in the year. In Ethiopia, despite continued demand for crates, production was constrained by the limited supply in the market of foreign exchange with which to fund the necessary imports of raw materials. Our businesses in Zimbabwe are uniquely positioned to take advantage of any improvement in economic activity in the country. However, the continued lack of US dollar liquidity remains a concern in both Zimbabwe and Ethiopia, limiting our ability to sustain raw material purchases. In Nigeria, our closures business faces changes in closure type by major customers, which will require investment in new moulds. In a challenging environment, Nampak Plastics Europe made progress in improving both our operational and financial performance as well as building our business with mediumsized dairies and customers outside the dairy market. Operational improvements included those in machine efficiencies, resulting in lower overhead costs, as well as in our waste and health and safety performance. Traditionally, the business had focused on the UK’s largest dairies. But consolidation among major milk producers has led to a loss of volumes to backward integration as well as a change in the milk-sourcing strategies of many supermarkets to favour smaller local dairies. We recorded some success in securing some of these dairies as customers in the year. We also signed a new deal with one customer whose contract had previously been assessed as “onerous”. We will continue to work to secure smaller dairies as customers as well as to win new business outside the dairy industry, including in the home care, laundry care and personal care markets. We are confident of further operational improvements in the year ahead.